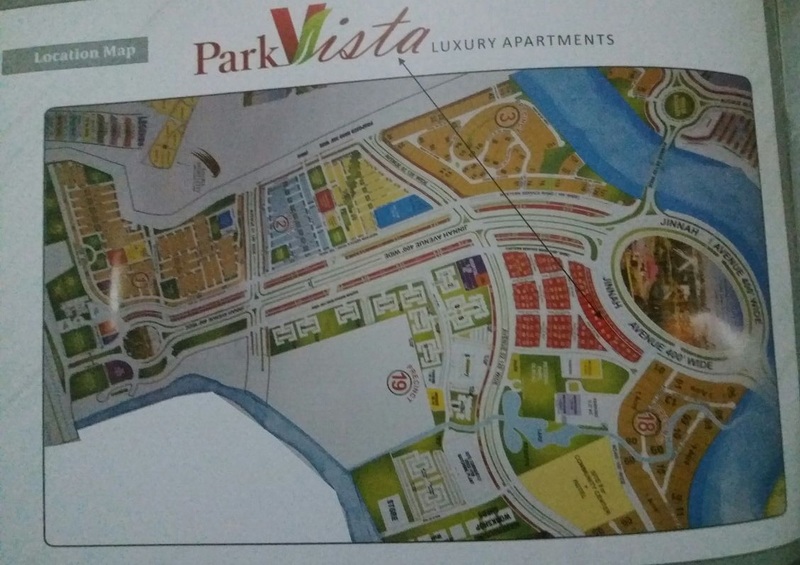 Park Vista Apartments are planned on a 2097.30 Sq.Yards commercial plot in theme park commercial – precinct 18, which lies just opposite to Bahria Adventura Theme Park. It is an ideal location for residence or investment, as neighboring apartments in tower 19 are quite expensive, and no longer available on installments. As you can see on the map attached above, it is planned on plot no. 50 in theme park commercial area. A clear copy of the map is available at this link. Park Vista Apartments is planned to be a stylish and modern building structure. It comprises of 2 commercial floors, and 12 residential floors. 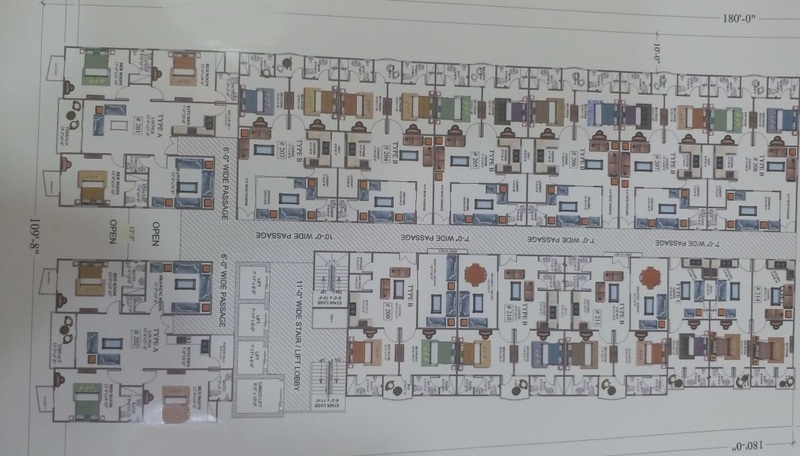 The sponsors are currently selling one bed, 2 bed and 3 bed apartments on easy installments plan. The project has been inaugurated, and construction work has started on the project site already. 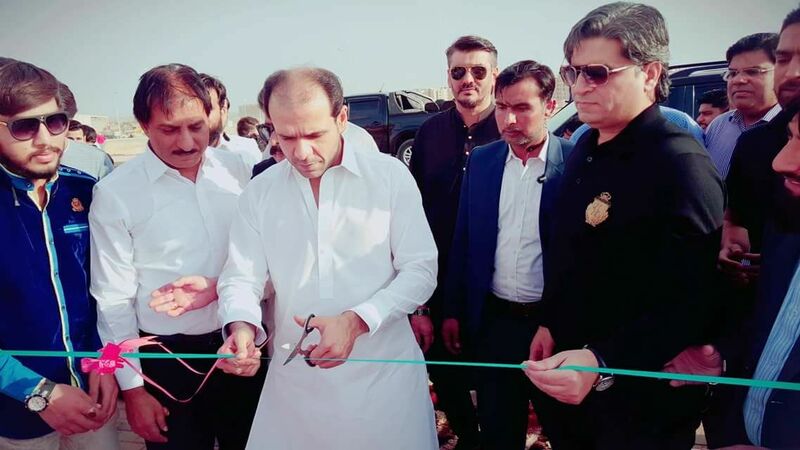 Mr. Ali Riaz Malik, CEO Bahria Town, was invited to cut the ribbon in order to formally inaugurate the project. As Daiwal Builders are associated with bahria town for quite a long time, and they have a history of successful development projects in Bahria Towns, especially in Bahria Town Islamabad and Rawalpindi, Park Vista Apartments is considered as one of the best new projects available on installments in Bahria Town Karachi. 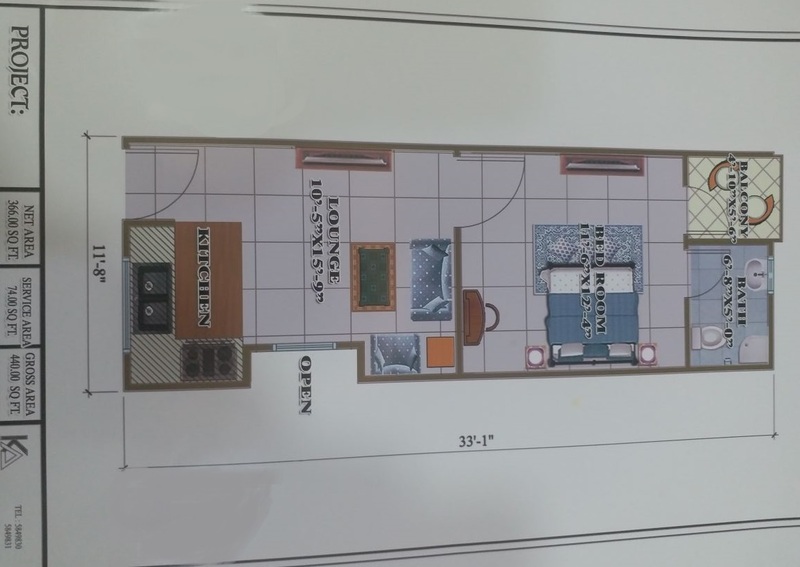 A type apartment has covered area of 1630 sqft, and it comprises 3 bedrooms with attached bathrooms, drawing room, lounge, terrace and kitchen. 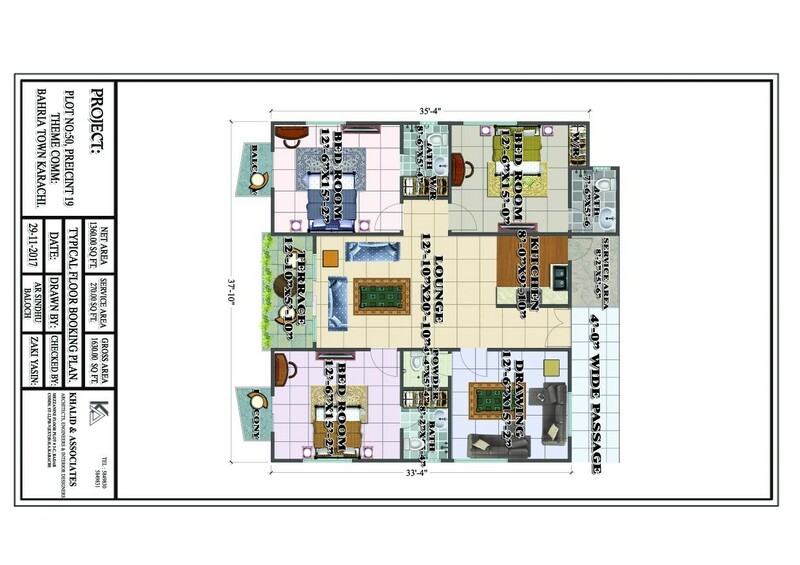 B type apartment has covered area of 1150 sqft, which is ideal size for a small apartment for a small family. It comprises 2 bedrooms with attached bathrooms, drawing room, power room, lounge, laundry area, balcony and kitchen. 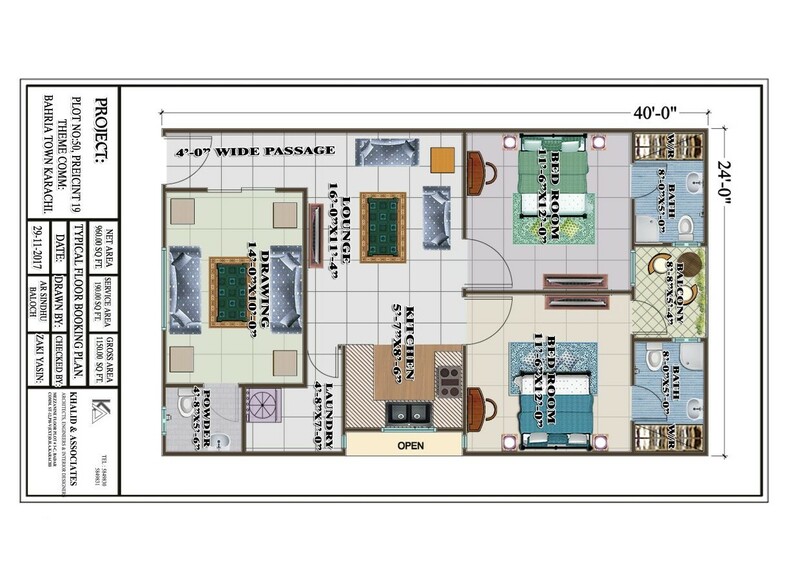 One bed apartments are small studio units with covered area of 440 sqft. It comprises one bedroom with attached bathroom, balcony, lounge and kitchen. 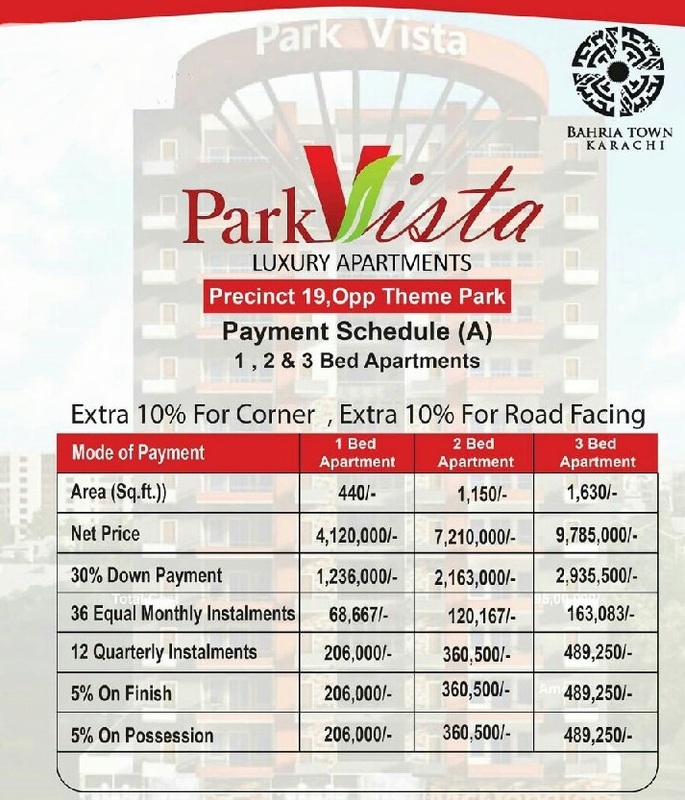 Apartments in Park Vista are available on first come first served basis. There total 14 apartments on each floor including all categories, and there are total 12 floors in this apartment building. It makes a total of 168 apartments, out of which, most apartments are B type. Bookings start from just 30% down payment, while 60% is payable through 36 monthly or 12 quarterly installments over 3 years. 5% amount is payable at project finish, while 5% will payable at the time of possession. 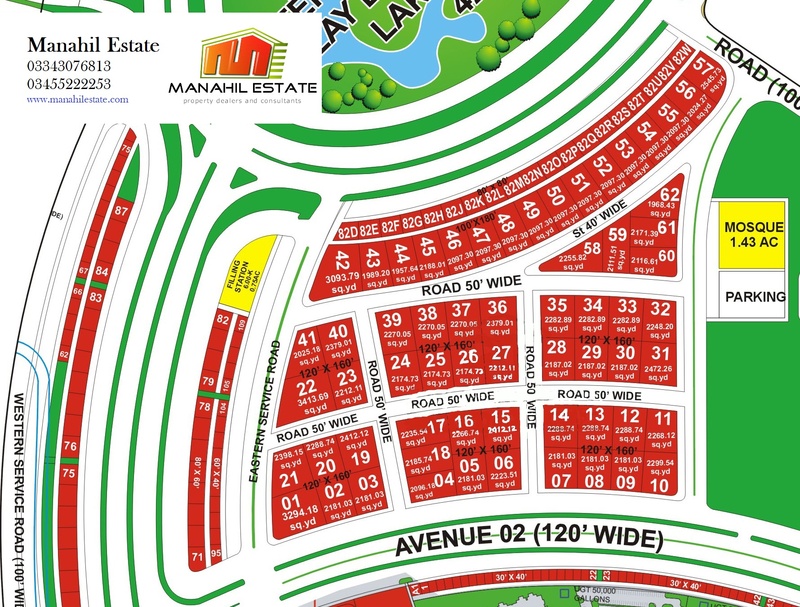 Should you require any further information on Park Vista Apartments, or you want to book your apartment in this project, just leave us an email at marketing@manahilestate.com for further assistance.